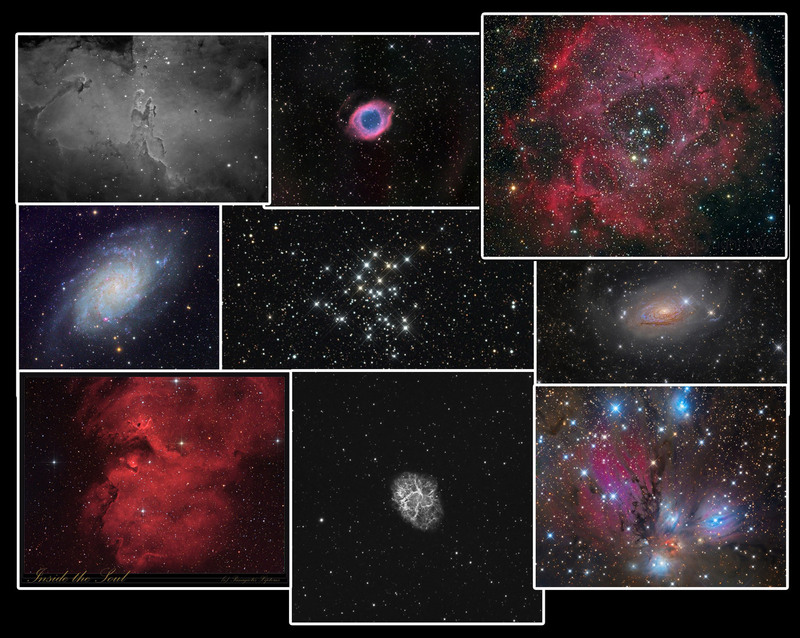 Panagiotis Xipteras‏ (Twitter: @xipteras) had his Tele Vue TV-NP127is images featured in our blog this past September (Tele Vue-NP127is: Imaging the Skies Over Europe) and continues to produce exemplary and well thought-out images with the scope. Below is his recent image of NGC 1528 in Perseus. The Soul Nebula was another target for his TV-NP127is. 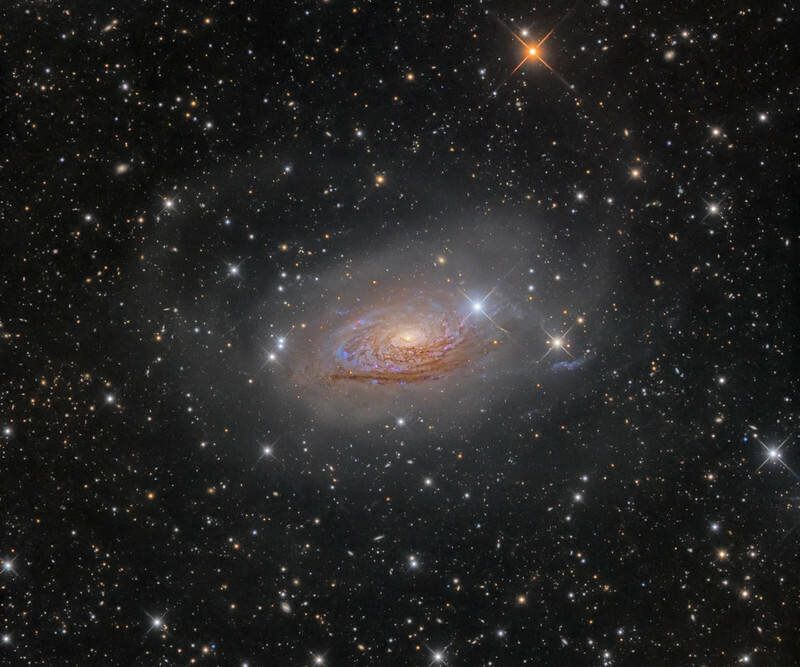 Oleg Bryzgalov won an Insight Astronomy Photographer of the Year 2017 award this September in the Galaxies category with this image below: M63 – Star Streams and the Sunflower (all rights reserved). 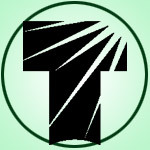 He used his home-built, 10″, f/3.8, fast reflector equipped with Tele Vue’s 2″ Paracorr Type-2 photo/visual coma corrector to nail down the edges of the field. 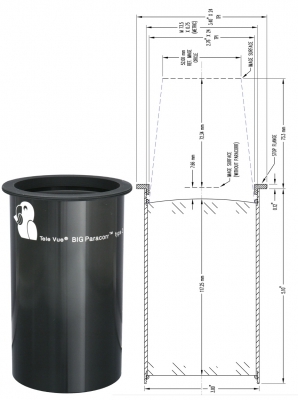 A QSI 583wsg camera with LRGB filters was used for the 22-hour total exposure. We congratulate Oleg on the recognition he’s achieved and look forward to seeing more of his images on flickr. Oleg and his images were profiled on our blog back in May (see: 2” Paracorr Type-2 User Profile: Oleg Bryzgalov). 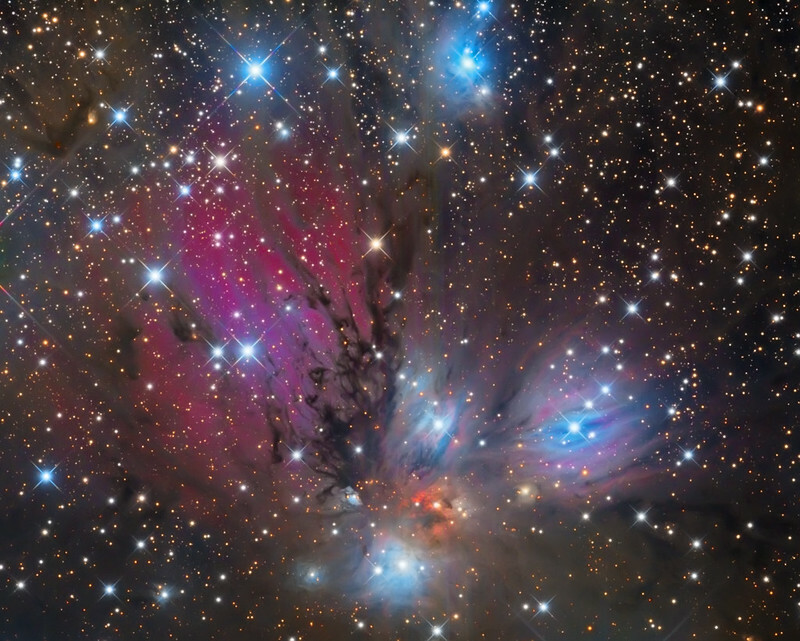 Oleg’s colorful image below, NGC 2170: Still Life with Reflecting Dust (v.2016) (all rights reserved), uses the same setup as above and was made from images taken in 2015 and 2016 for a total of 25-hours exposure. 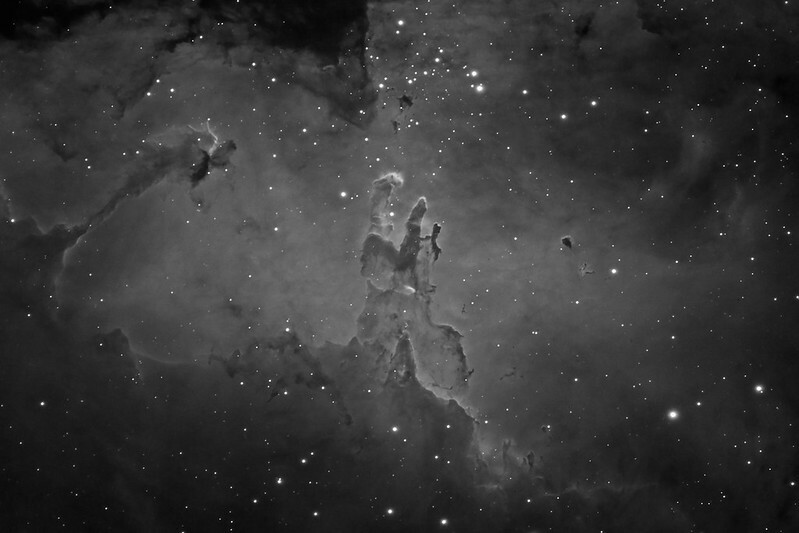 Niels Haagh is @astrodane on Instagram and displays images he and others have taken with the Tele Vue TV-NP127is. Latent0Image on flickr also images with the popular Tele Vue TV-NP127is scope. 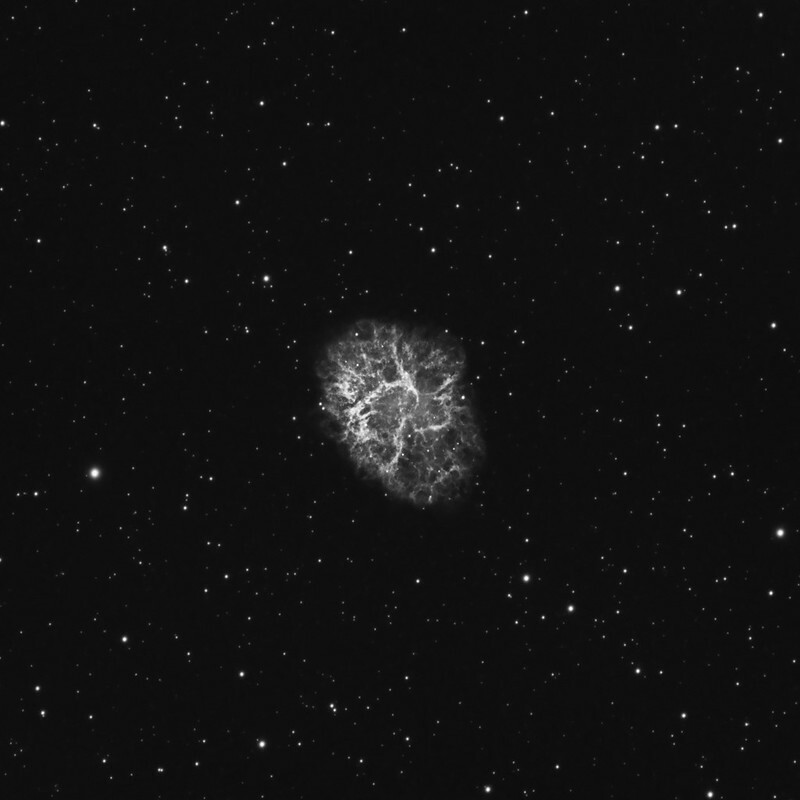 This stark b&w Crab Nebula (M1) image (some rights reserved: CC BY-NC-ND 2.0) was made using a ZWO ASI178MM-Cool camera with Baader 7nm H-α filter for over 2-hours of exposure on November 24, 2017. The ever awe-inspiring Pillars of Creation (all rights reserved) in the Eagle Nebula was taken with the same setup but exposed for 4-hours over 4-nights. Jay W. Butler’s NGC7293 Helix Nebula on flickr was made with his 10″ f/4.1 reflector and our larger Tele Vue BIG (3”) Paracorr Type 2 coma corrector connected to an STXL-16200M camera. Almost 7-hours of exposures were taken from Oct 15-17, 2017 through HRGB filters for the final result. Jay was profiled in our blog in a posting this past May (read: BIG Paracorr User Profile: Jay Butler). Paracorr Type-2 system includes: 2″-1¼” adapter (top), Tunable-Top (middle), & Paracorr Type-2 body (bottom).